The new Digicub site is now live! And unlike Frankenstein's monster, it doesn't feature a bolt through the neck (a bit like the old site did). Take some time to click around and enjoy! We're not sure what milk has to do with it, but here we are at SMR's 8th recruitment fair. Feedback on the game was all very positive and we met some great candidates. We may even have a new junior starting this Thursday. We only had to resubmit metadata 4 times, but at last, Mini Gay Me is out. We haven't much else to say other than download it please! After a brief stint at an extrememly cold office in Victoria, we've relocated to Greenwich. We're slowly training the tulips to code, so expect great things shortly. The year is off to a productive start at Digicub, with our 2 interns transitioning into full time roles. Congratulations guys! We'll add them to the profiles page shortly. Our secret project (Mini Gay Boyfriend 2, shhhh) is now fully underway. One minor setback has been the office - it's not ready yet - so we've been forced to locate to a cafe in Hackney. At least now we're uber trendy without having to try. Like all good internet blogs that no one reads, the flood becomes a trickle and the trickle becomes 1 post every 6 months. But rest assured, this trickle of a trickle is still very much in business. Today's big news story is that we've soared past 1 million downloads. You lot aren't known for your commitment, so we're estimating at least 1 million failed marriages, 1 million unrequited loves, and many more dead, neglected or abused pets. But on the bright side, at least 1 million romances have been forged, millions of coffees have been shared, millions of picnics prepared and who knows how many breakfasts in bed. The mind boggles at all the virtual winks, kisses, hugs, not to mention the hotdogs dropped and the bubbles popped. So pat yourself on the back if you've been a part of it, and remember to feed the pet. As total downloads approach three quarters of a million, Digicub is taking a short break from the minis in order to join old friends at DICE, to work on the upcoming Battlefield 4. But don't worry Digifans - there are more games in the pipeline, and a D1D update on the way. After a gruelling few months, we've finally launched the third addition to the Mini Series. Get downloading and try out the new Facebook and HeyZap features. Why not share it with all of your friends? Wonderful things will happen, like marshmallow castles and double rainbows. Good luck Mini Boyfriend, we wish you all the best. Today we hit a monumental milestone - we made it in to work before 10am. Oh, and we hit 100,000 downloads. A massive thankyou to everyone out there who downloaded our games. All those new iPhones unwrapped at Christmas have given the minis a boost into 2012. We're fast approaching 80,000 downloads and that 4.5 star rating is standing firm. A big thanks to all our fans, we're working hard to bring you more content in 2012. We've heard stories of long term mini relationships, but this one eclipses them all. It comes from Gareth Chapman, one of the first customers to download the game. And he's kept it going all this time. Gareth didn't quite understand the game, and named his boyfriend after himself. So congratulations to Gareth and Gareth for this stellar achievement. Do you like words like 'monetize'? Well if so, you might like this post. We've decided to chage the way we sell Mini Gay Boyfriend. From now on, you can download a 'Lite' version of the game for free, but if you want to continue past the dating stage, you'll need to upgrade the 'Full' version. Don't worry, it's still only 69p and you can do it all within the app. Free downloads always surge in popularity, just look at this. It shows our downloads for a few days in August. See those huge spikes? You guessed it - that's when the game was free. So we're hoping a whole new wave of hapless consumers will be seduced by their mini's charm, and decide to go the whole way. After all, commiting to a relationship is about taking a little risk. And when you discover your boyfriend is incapable of feeding the pet as it languishes starving and unwashed by his feet? Well, we can only apologize for his incompetance. E3 is the indutry's biggest annual event. 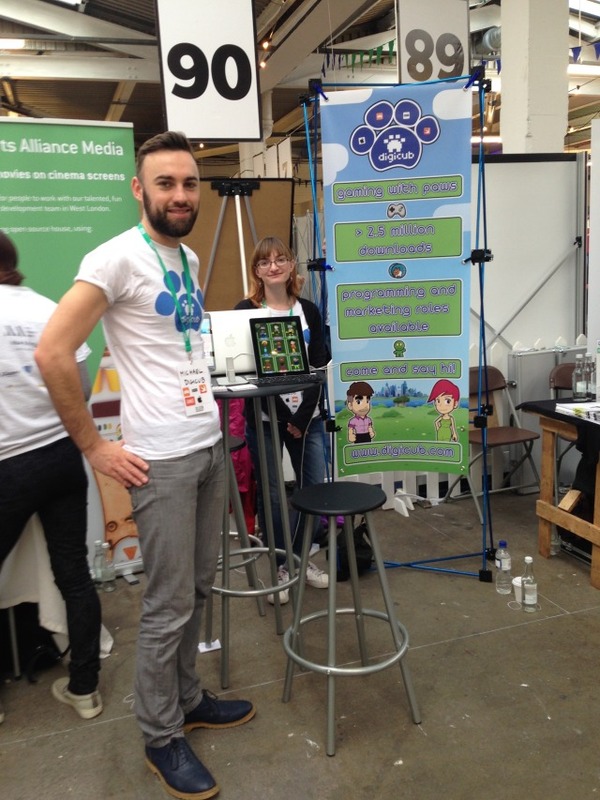 Naturally, being one of the industry's smallest studios, Digicub feels the need to attend. So we'll be there with the mini gays making friends and playing games. 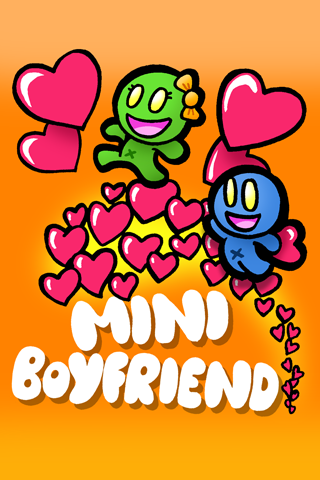 As an E3 special, Mini Gay Boyfriend is free to download for the duration of the show (7th - 9th June). So tell your friends to download it if they haven't already.